Thread: What did you do with your UDR today? I'm looking for the screw pin that hold the driveshaft.....not a pin for the wheels.....but thanks.....good to know! I literally just stared at it and admired how awesome It looks. Will be adding window netting for some scale looks in the next couple of days. 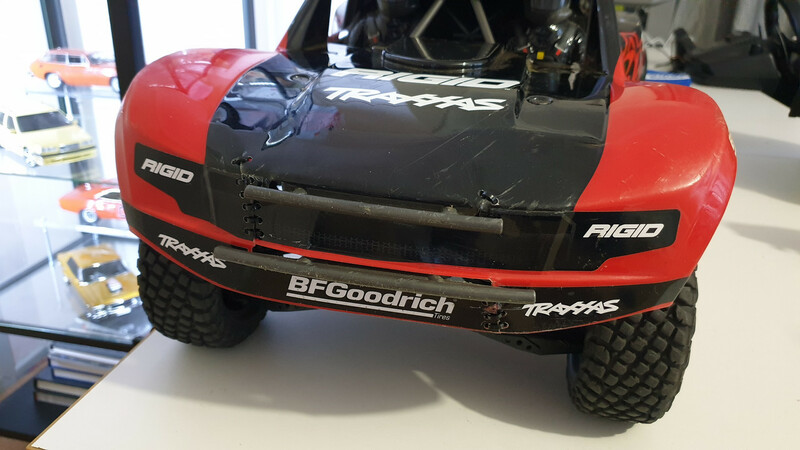 Traxxas UDR Fox Edition, TRX4, Slash 4x4. 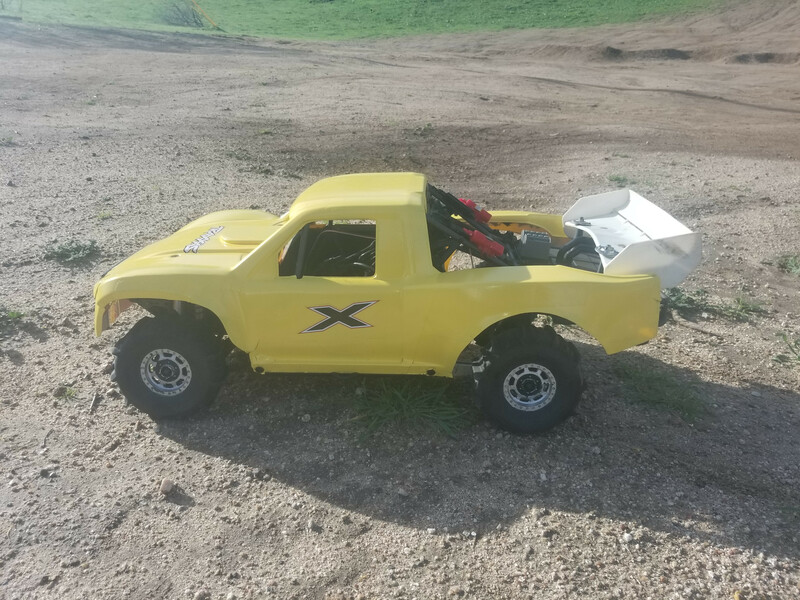 Finished the new clear body, ready to roll. Last edited by beamer; 01-11-2019 at 08:22 PM. Thought it was a roller.... turned out to be a kit, haha. That's like a dream...i gotta find one. 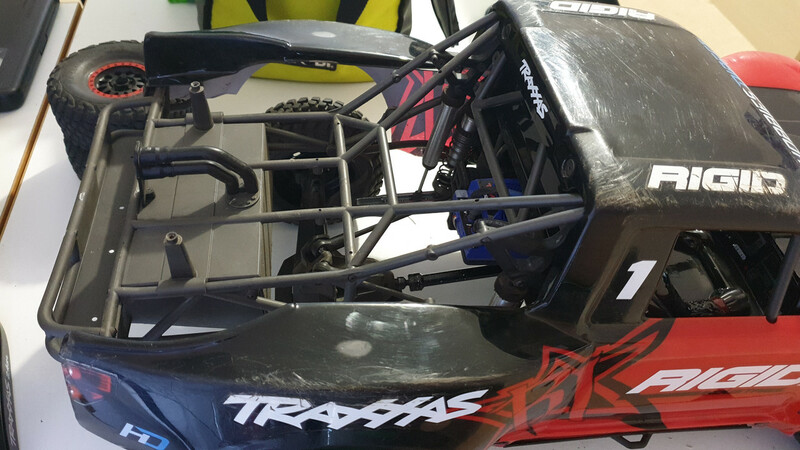 out bashing the udrs with crazyxmaxx. Although its been quite dry in the UK for January, ive not had much time to get the UDR out. Ive been playing with my 5th scalers. Did strip the rear axle down to clean and refill with grease. Also refilled the dampers with fresh fluid. I've had mine a couple weeks now and it seems to be ok. 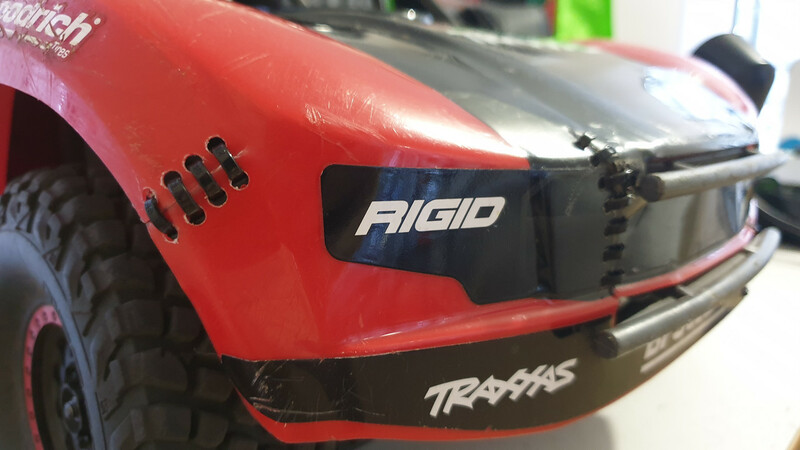 I did order a replacement body shell as the original is starting to look a little rough and scratched up. Mine is the red version but I got the white Fox shell this time. 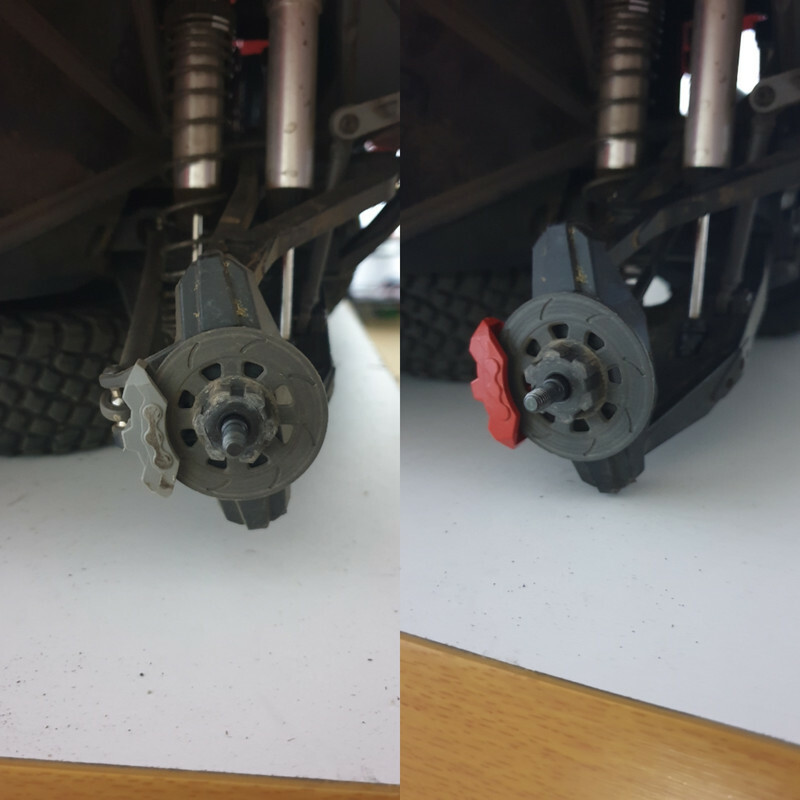 Have replaced the rear trailing links as I heard the stock ones fail. They seem to be holding up well. Oh and one brake caliper has broken off and lost.. who knows where it could be. 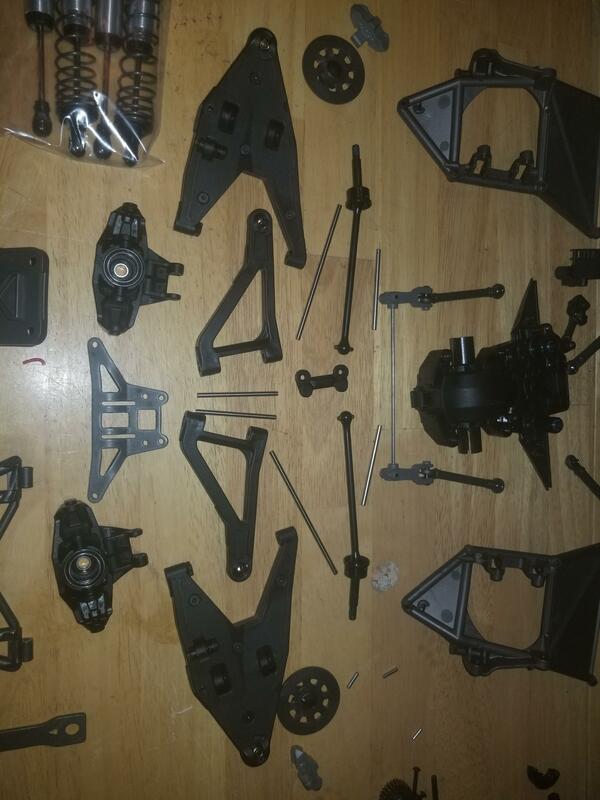 I did order replacements which I will paint red so they look like a set of Brembo's. The only issue I've had so far is I noticed it wasn't accelerating as hard as it usually does and after a quick inspection there was no drive to the front wheels. 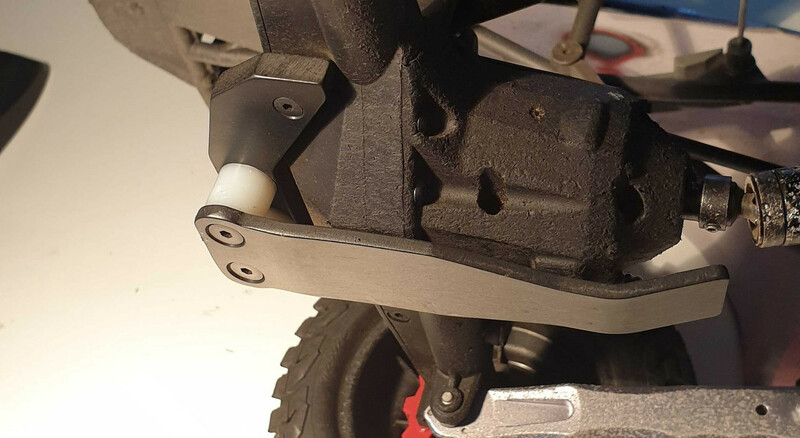 There is a small plastic connecting shaft which joints the main gearbox to the front diff which has somehow slipped off the output shaft. 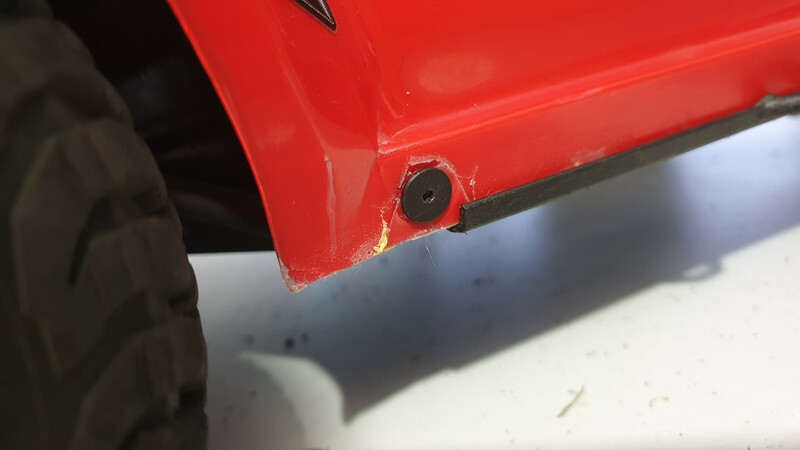 There is a small screw that had loosened off for what ever reason. I applied some thread lock and did it up and away we went! I am planning on doing a full strip, clean, grease and rebuild soon. I really want to check over whole thing to make sure there aren't any unseen issues. Absolutely love this truck! 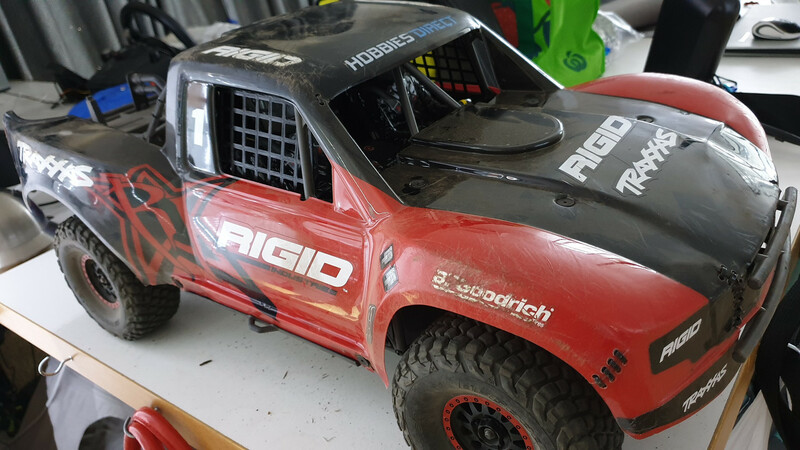 Best RC car I've ever had! Last edited by spanner76; 02-10-2019 at 05:51 PM. Did a diff and axle rebuild over the weekend. Not much gunk and dirt in there but not much grease though and was a bit noisy, Gave it a thorough clean and grease and seems a lot better! 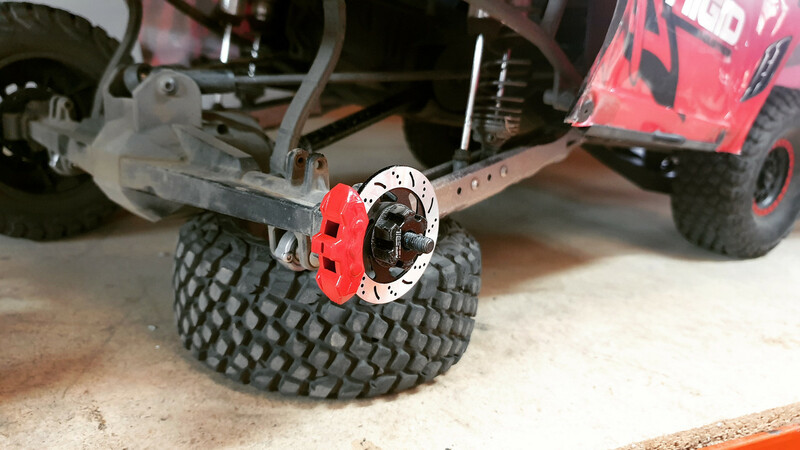 While the axle was off I also fitted a diff skid plate for some more impact protection. Here's a shot of the painted brake calipers. The new rotors, window nets and spare tire straps are on their way. 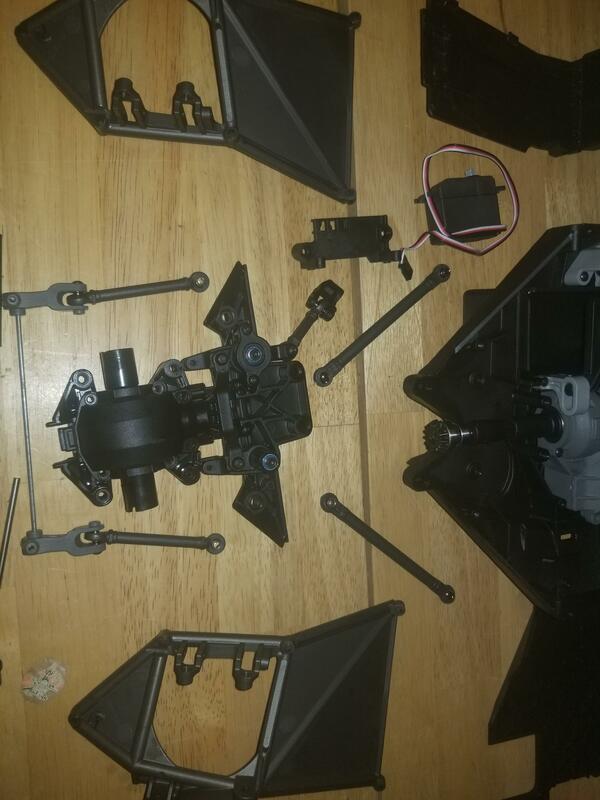 I 3D print a stand for my UDR. 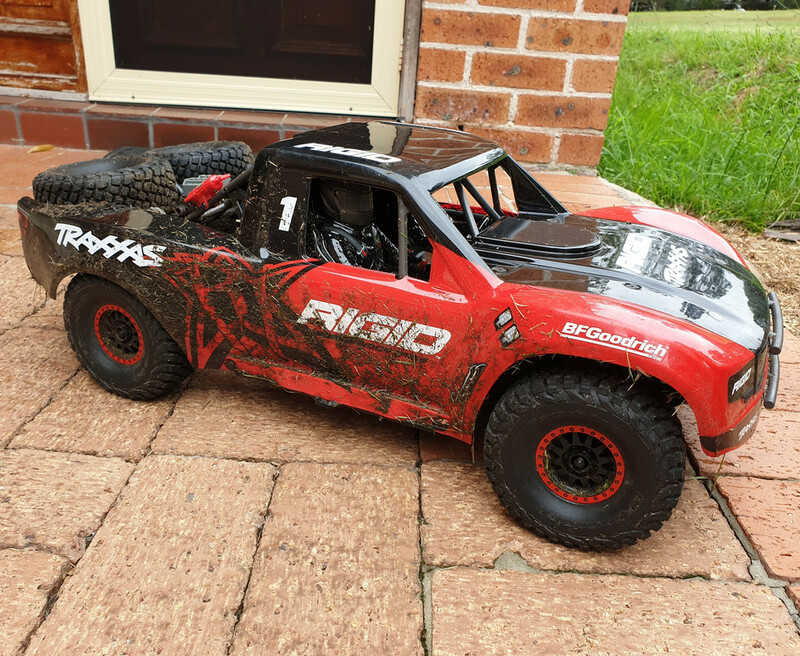 I download a cool RC Truggy Stand and modified it to fit the UDR. The driveshaft would hit the stand before so I added clearance for it. The logo I added, didn't come out perfect but good enough. That is awesome! Will you sell me one please? 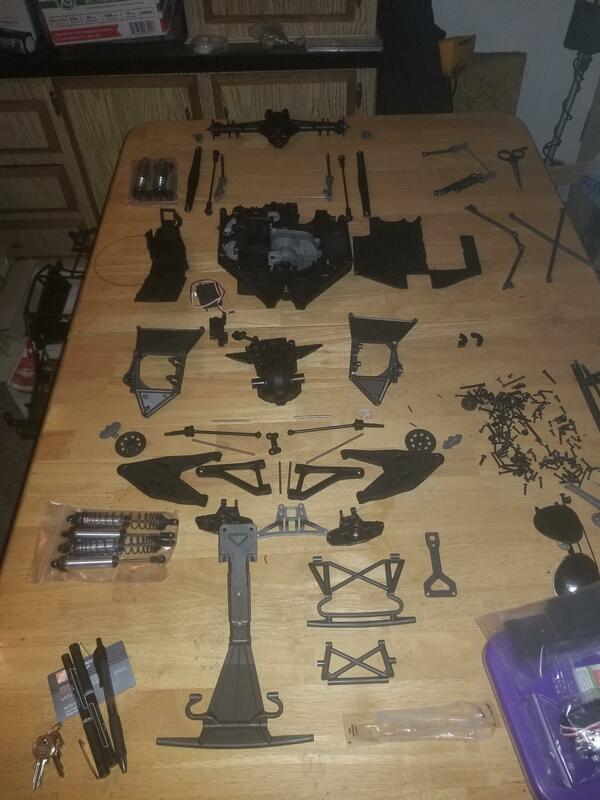 You guys make me want a 3D printer. I would love a couple of those stands! My son and I both have UDRs. I really stuck the landing on this jump! PM me, I might be able to print a few extras. Hi broth! I write you on Instagram! 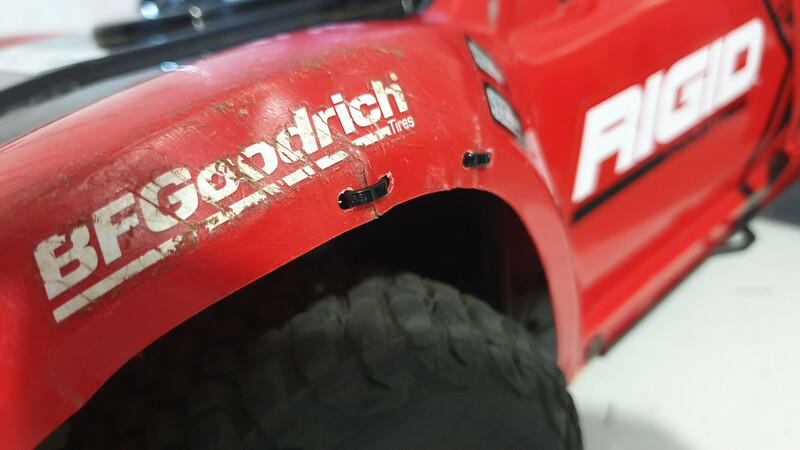 Performed some battle damage body repairs. 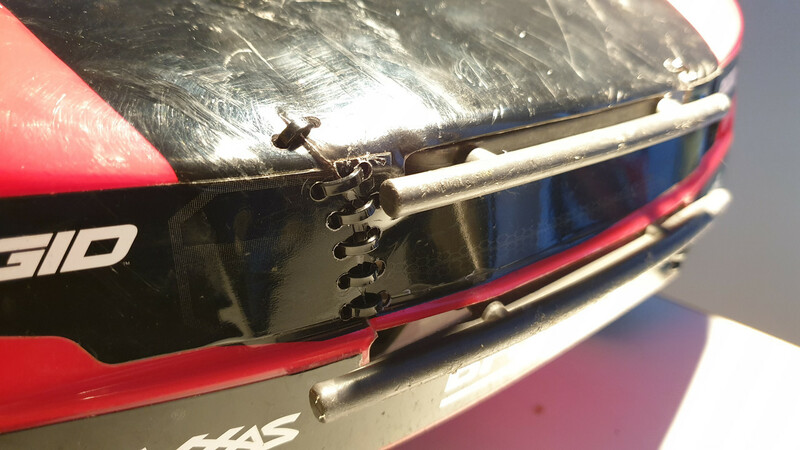 Zip tie stitching works great! Also worked on some suspension tuning. Added some spring preload to both front and rear and happy with the results so far. I added 4mm up front and 11mm on the rear and it's helped reduce roll overs considerably. Much more body control. I'm yet to replace the shock fluid though.. might get that done this coming weekend. Also removed some of the scale detail parts, fire extinguishers, batteries, oil bottles and jack. One of the extinguishers broke off in a roll over so I thought what the heck and pulled the bits off. I also removed the spare driveshaft. Don't see the need to drag it around.. I rather like the cleaner look out back! Also in! Would love one in black! 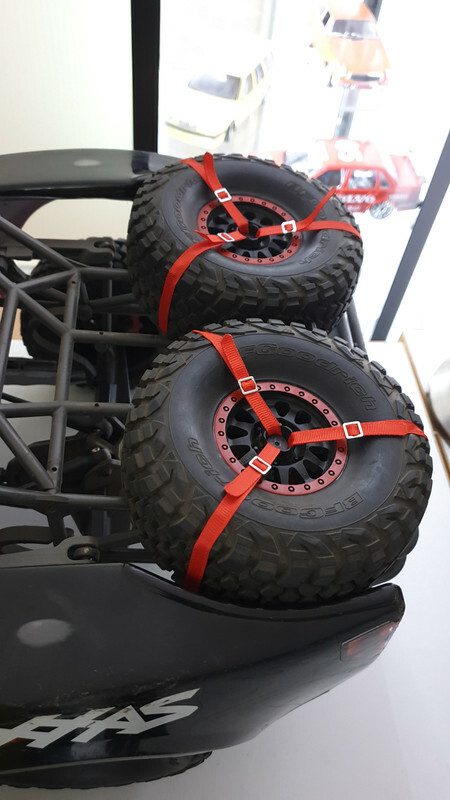 Fitted some spare tire straps today! A little fiddly to do but the end result was good. 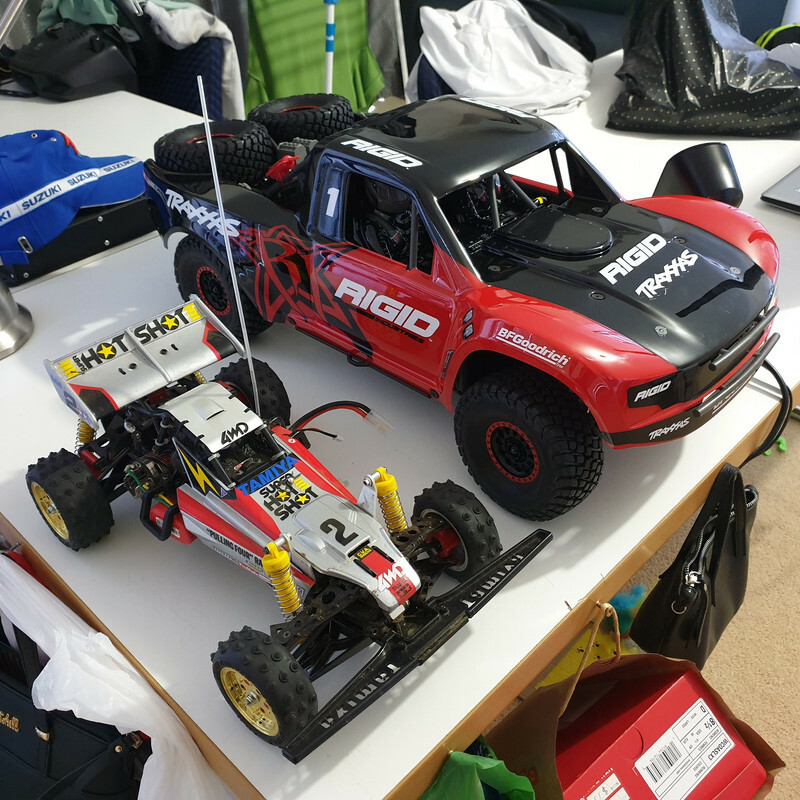 Took the UDR to a RC track this morning. Didn't think the local guys would be as aggressive as they were. 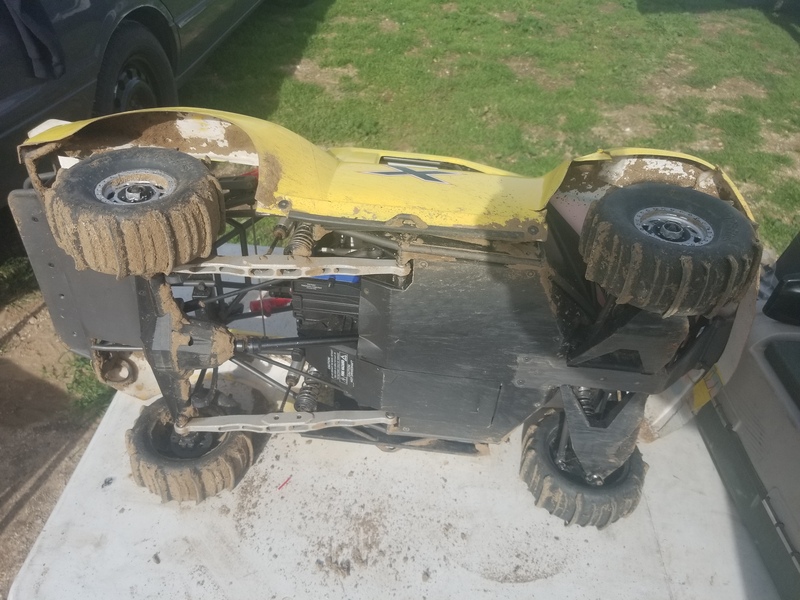 Got hit a few times which resulted in some more body damage. So more stitching required. 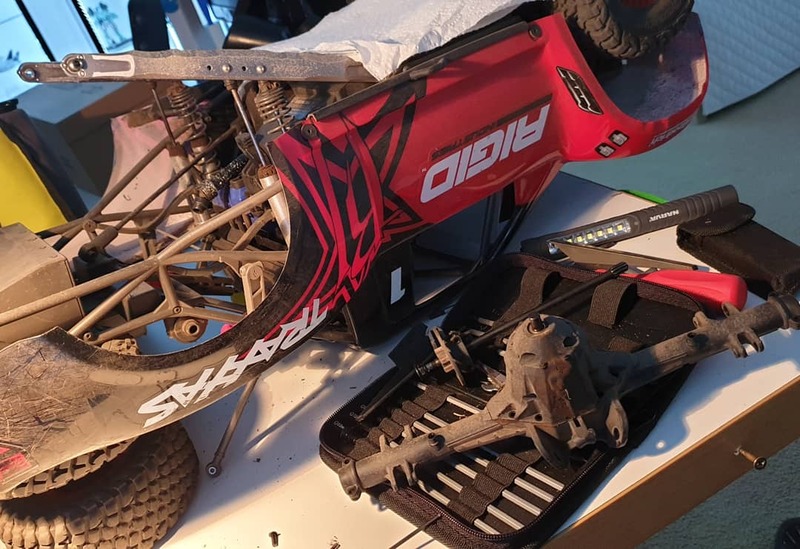 Amongst other damage I lost another rear brake caliper and one of those canister looking things on the rear cage broke off when my truck was hit whilst on its side.. so I removed all the scale parts completely. 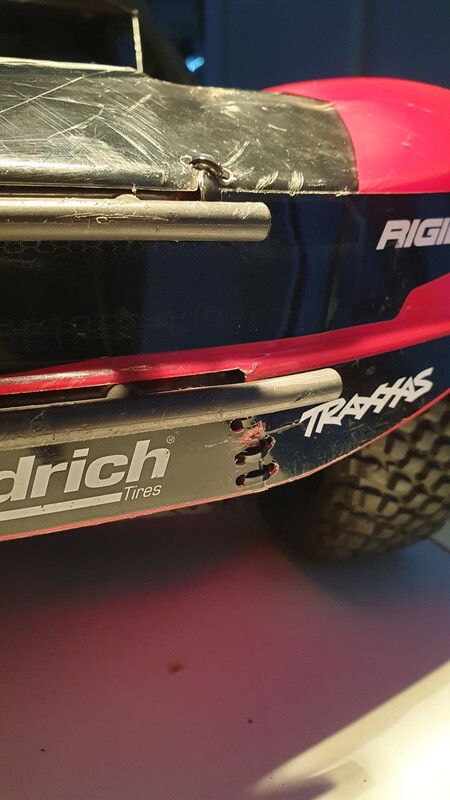 Found one of the rear tires is now seriously separating from the rim so I've fitted the new fresh spares on the rear and chose the best two from the rest for the front. Also found one of the rear sway linkages had been broken so I removed the whole lot as it does nothing anyway to aid stability. The truck drives just as well without it. I'm so glad I fitted the older body shell back on it rather than my newer Fox body as she got a good beating today. I think some guys were a little intimidated by the UDR as it was one of the fastest things there. But I did have fun which is the main thing. Besides others copped more damage than I did even without being hit by something else. 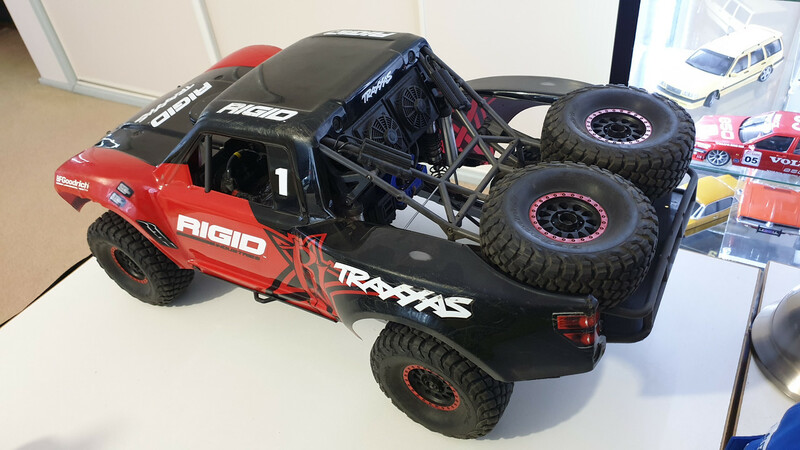 Had another run in the truck yesterday, after removing the spare wheels and all the scale detail parts I'm estimating it's close to 500grams lighter and it definitely makes a difference in the handling! Especially after making spring preload adjustments. Found the culprit of my frustration today with my udr. This is what’s under the very poor, very aggravating, sad excuse for a switch on the Vxl-6s. I’m going to solder a hobbywing 50,000 cycle powerswitch, and then count the cycles...for comfort. Window nets arrived and fitted! 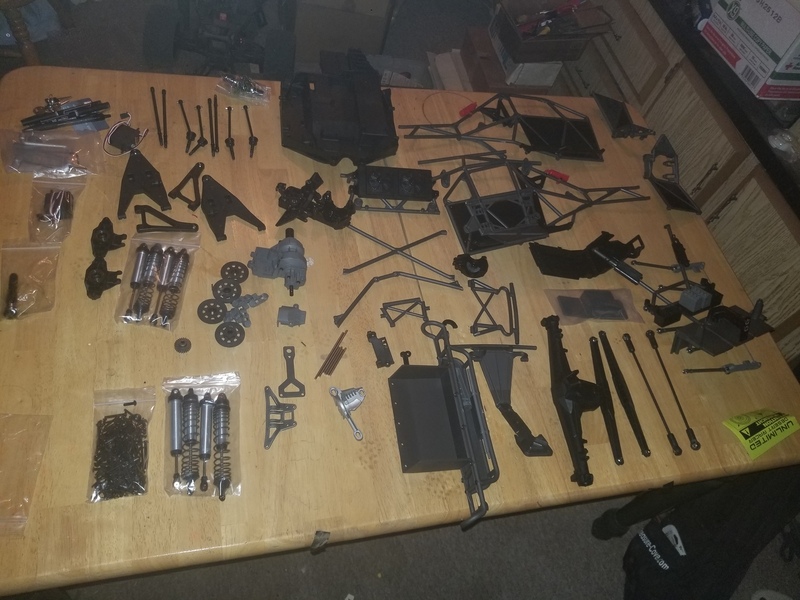 I've stripped off a number of parts in an effort to reduce its weight, mostly all of the scale detail stuff including the two spare wheels and rear sway bar as it didn't do anything anyway.. I was going to remove the drivers too but now that the window nets are in I'm gonna leave them in as it would be pointless having window nets there without anything behind them.. Loving this truck! Fitted the painted replacement rear calipers..
Do you happen to have a link to those parts? Would much appreciate it!